Young and Ill, without Advance Directives - Lewis Kannegieter Law, Ltd. When you are a child, your parents serve as your decision makers. They have ultimate say in where you go to school, what extracurricular activities you partake in and where, and how, you should be treated in the event of a medical emergency. While most parents continue to play a huge role in their children’s lives long after they reach adulthood, they lose legal decision-making authority on that 18th birthday. Most young adults don’t contemplate who can act on their behalf once this transfer of power occurs, and consequently they fail to prepare a health care directive. 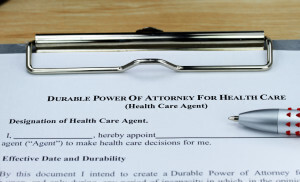 To avoid the unknown, it’s highly recommended that all adults, regardless of age, work with an estate planning attorney to prepare advance directives such as a Health Care Directive that includes a health care power of attorney (or health care proxy) as well as a living will that outline their wishes and ensure compliance with all applicable state statutes.